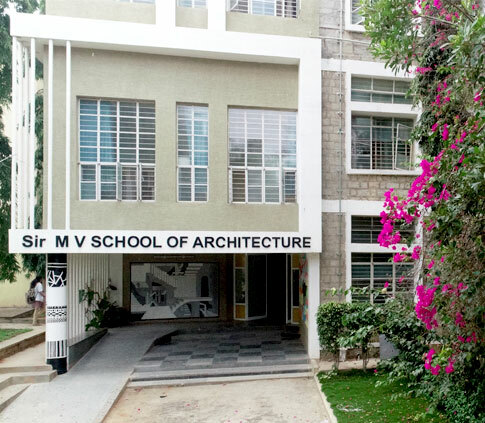 Sir M V School of Architecture is located on the reputed Sir MVIT Campus, in Bangalore, in the state of Karnataka founded by Sri Krishnadevaraya Educational Trust. 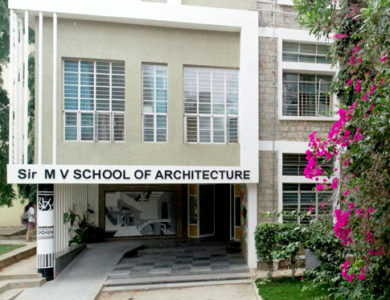 The institute offers 5 year B.Arch., Degree in Bachelor of Architecture, approved by Council of Architecture, (CoA), Govt. of Karnataka and is affiliated to Visvesvaraya Technological University, Belgaum. The Bachelor of Architecture professional degree program, aims at enabling students to develop an analytical and sensitive approach towards design to make them responsible future generation architects. To develop a reputable School of Architecture that creates outstanding professionals who can and willingly offer socially sensitive sustainable solutions in shaping our built environment. Foster an appropriate ‘habitat’ for architecture and its studies. Inculcate and nurture an environment of excellence, with a commitment to fairness, integrity and transparency in all our endeavours.